92% of Americans now say it’s acceptable to “regift” present you don’t want. When I heard that statistic on the radio the other day, it made me think about the slowly turning environmental attitude in America. My optimistic self sees our culture moving from being over-consuming, wasteful and blatantly disregarding the environment to becoming more aware of our impact on the earth and more willing to reduce, reuse and recycle. reduce: For a slightly more sustainable, simple, streamlined approach all year round, only buy wrapping paper that is not holiday specific. Beautiful bold colors and simple patterns that can be prettied up for Christmas, a birthday, wedding or baby shower with different ribbons. You buy less, store less, and it can be reused more easily. reuse: Wrap presents in old maps, newspaper/comics, or reused wrapping paper or gift bags. Let your kids draw on packing paper or use their artwork from school (after displaying it for a requisite few weeks). More ideas for free eco-friendly wrapping paper. recycle: Check with your community to see if you can recycle wrapping paper, and make sure you do. reuse: Shred Christmas wrapping paper that can’t be reused and make attractive packaging fillers and gift bag stuffing; always save and reuse bubble wrap, packing peanuts and packing paper when possible. recycle: When you cant reuse, be sure to recycle packing components. But try to find somewhere that can use the peanuts (post offices and UPS shipping or eBay shipping storefronts often welcome deliveries of packing supplies). I collect packing boxes, broken down, and then freecycle them when I get a dozen or so. Folks who are moving are happy to get free boxes instead of paying the UHaul store! reduce: Consider giving gifts of charitable donations, or agree to skip gifts if both parties really don’t need or want anything. Spend quality time together instead of shopping, wrapping, and returning! 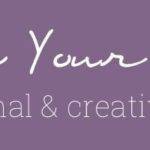 reuse: Feel free to regift! 92% of Americans say you can. The other 8% are wrong. 😉 Also, try to choose gifts that can be reused by the recipient many times, products with less packaging waste, and “clutter-free” goodies like food or eBooks. recycle: Whether you’re the host or not, try to collect plastic and cardboard packaging and get it into the recycle bin rather than the trash. reduce: Keep it simple. Buy less stuff. reuse: Focus on decorations that will last and won’t have to be thrown out after a few years. We invested in LED lights this season, since every single year we have to pitch Christmas lights that are no longer working. Here’s hoping that investment is as advertised! recycle: Be sure to put your live Christmas trees out for recycling, perhaps after you use them as bird feeders (stand up your tree outside and hang birdseed ornaments on it). Those artificial trees have some eco-problems, in spite of their reusability! reduce: Avoid bottled water; serve tap or filtered water in a pitcher. 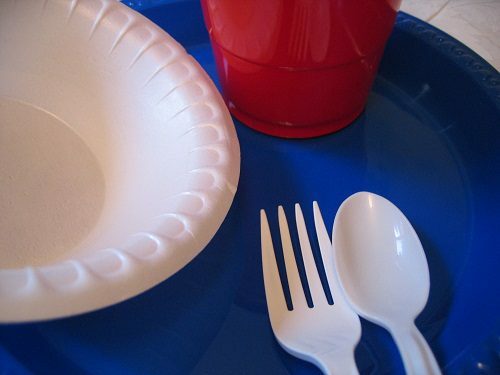 reuse: Use real plates and even cloth napkins, and just tell guests to load them in the dishwasher instead of the trash. Use wine glass markers or Drinkbands to keep track of guests’ glasses, and if you must use disposables, do three best practice strategies: 1. Use plastic or paper, not Styrofoam 2. Label cups with a marker and 3. Rinse and recycle at the end of the party. 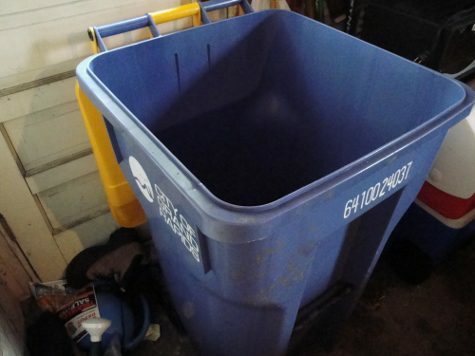 recycle: A bit party is no time to forgo your regular recycling routine. Make sure plastics and paper get in the appropriate places by labeling your recycling containers and putting them where guests can see. reduce: Try to turn the oven on one time for two things, such as cookies and dinner. reuse: Avoid wrapping everything in foil or plastic wrap; use real containers instead. Consider fair trade chocolate, cocoa, and sugar. reduce: Instead of a card, photo, family update and envelope, just send photo postcards with a link to an e-update. Not only will you save resources, but money on stamps, too. reuse: Cut the fronts off old Christmas cards to make new postcards. 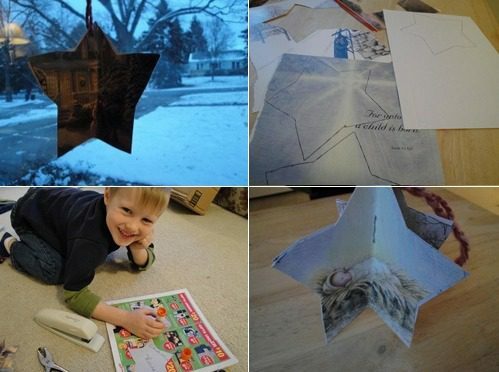 Here’s a cute Christmas card craft that also repurposes the old cards plus three other ideas. recycle: St. Jude’s accepts used cards to upcycle them; more info here. What’s the hardest part about being gentle to the earth during the holidays? 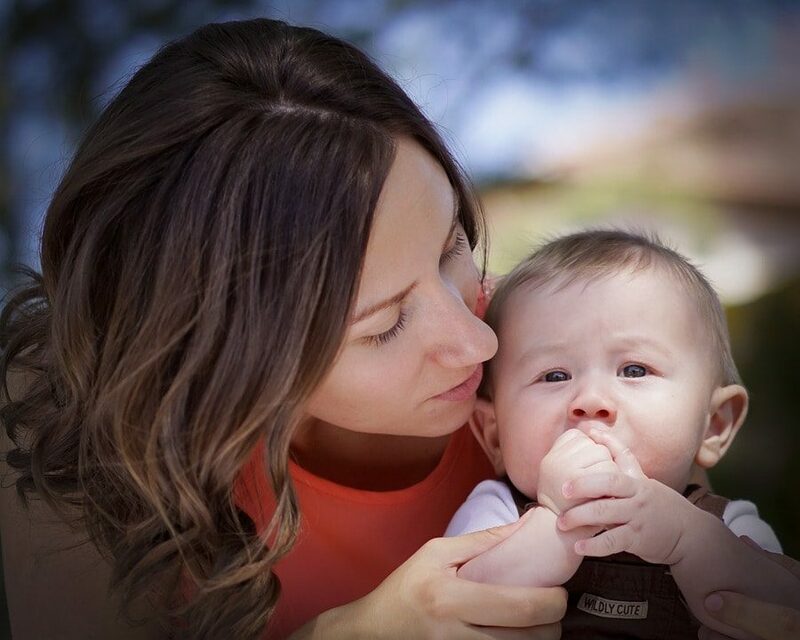 Car Seats: Non-Toxic AND Safe?